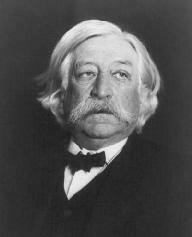 Fuller's 22-year term as chief justice was distinguished by his skillful handling of often contentious Court conferences. Justice oliver wendell holmes, jr. thought highly of Fuller's ability to maintain collegiality. At the end of his own legal career, Holmes ranked Fuller as the best chief justice under whom he had served. Fuller was an energetic jurist who also served on the Permanent Court of Arbitration, at The Hague, Netherlands. That international organization, comprising jurists from various countries, ruled on world disputes. In 1899, Fuller arbitrated a boundary dispute between Venezuela and British Guyana.The U.S. economy grew rapidly while Fuller served as chief justice. This expansion led to the concentration of economic power in certain industries by a small number of individuals and corporations. The federal government's efforts to regulate interstate commerce and to curtail the power of monopolies and trusts met fierce opposition from both the affected businesses and those who believed in a restricted role for the national government. Opponents of national power argued for continued adherence to the doctrine of Federalism. That doctrine has many facets, including a fundamental assumption that the national government must not intrude on the power of the states to manage their affairs. Fuller believed in federalism, and he demonstrated this belief in his votes with the conservative majority on the Court. Writing for the majority in United States v. E. C. Knight Co., 156 U.S. 1, 15 S. Ct. 249, 39 L. Ed. 325 (1895), Fuller took the teeth out of the Sherman Anti-Trust Act of July 2, 1890, which had declared illegal "every contract, combination in the form of a trust, or conspiracy in restraint of trade and commerce among the several states" (26 Stat. 209, c. 647). Finding in favor of the Sugar Trust, a corporation that controlled virtually all sugar refining, Fuller held that a Monopoly of manufacturing was not a monopoly of trade or commerce prohibited by the Sherman Act, as the manufacture of a product for sale is not commerce. It was up to each state, not the federal government, to protect its citizens from monopolistic business practices. The mere fact that goods were transported in interstate commerce was not sufficient to give Congress, under the Commerce Clause, the authority to regulate business. The holding in Knight survived until the New Deal era of the 1930s, when power shifted to the federal government. Fuller's belief in a limited role for the federal government was also demonstrated in pollock v. farmers' loan & trust co., 157 U.S. 429, 15 S. Ct. 673, 39 L. Ed. 759 (1895). In Pollock, Fuller ruled invalid a federal law that imposed a two-percent tax on incomes of more than $4,000. Article I of the Constitution requires that "direct taxes shall be apportioned among the several states … according to their respective numbers." In a 5–4 vote, Fuller's Court held that the new Income Tax was a direct tax insofar as it was based on incomes derived from land and, as such, it had to be apportioned among the states. As the law did not provide for Apportionment, it was unconstitutional. Decisions such as Knight and Pollock led critics to call Fuller and the conservative members of the Court the puppets of business interests and the protectors of wealth. In response to Pollock, the Sixteenth Amendment was ratified by the states in 1913, authorizing the collection of a federal income tax.